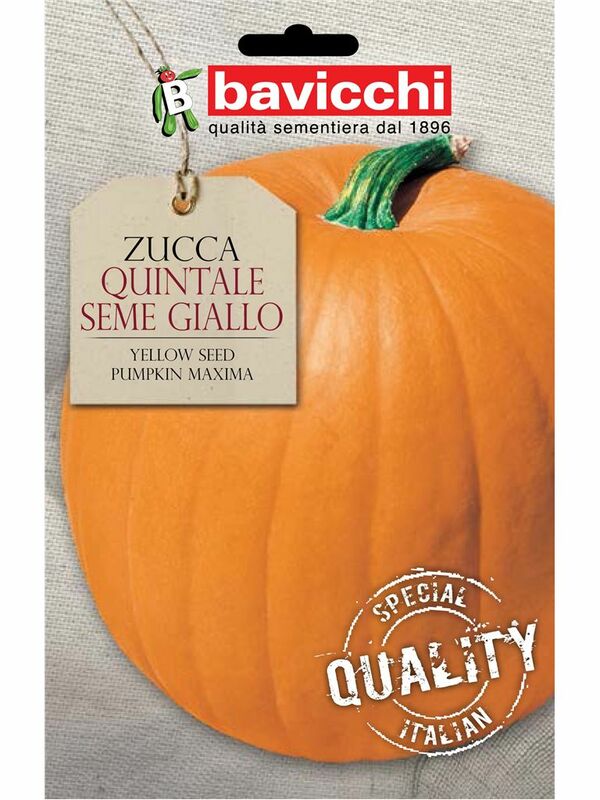 Known as Gialla Quintale or Yellow Quintale. 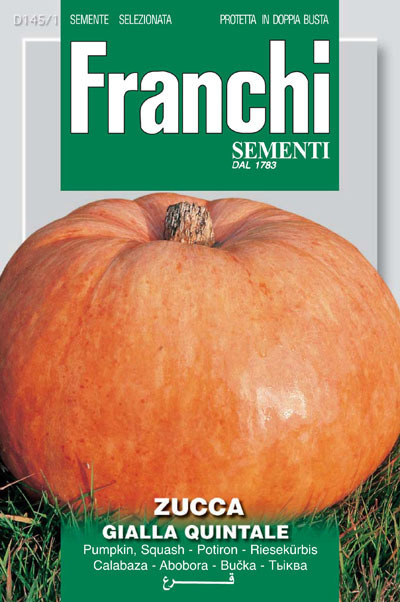 Italian variety similar to the Gialla Grossa of Paris . 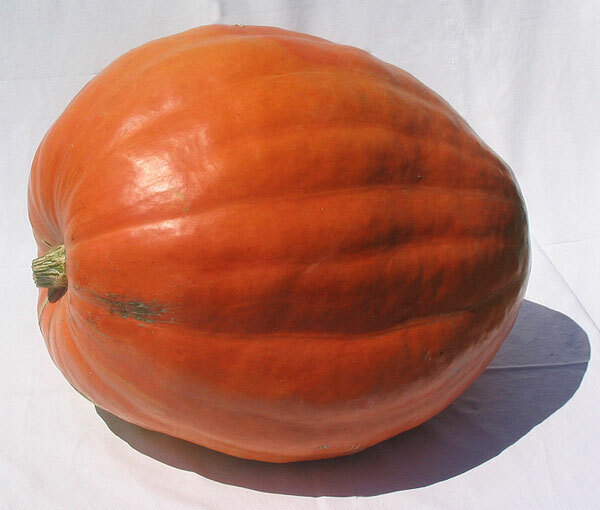 It is our variety of giant pumpkin, which can reach considerable size. The flesh is yellow, compact and slightly sugary. 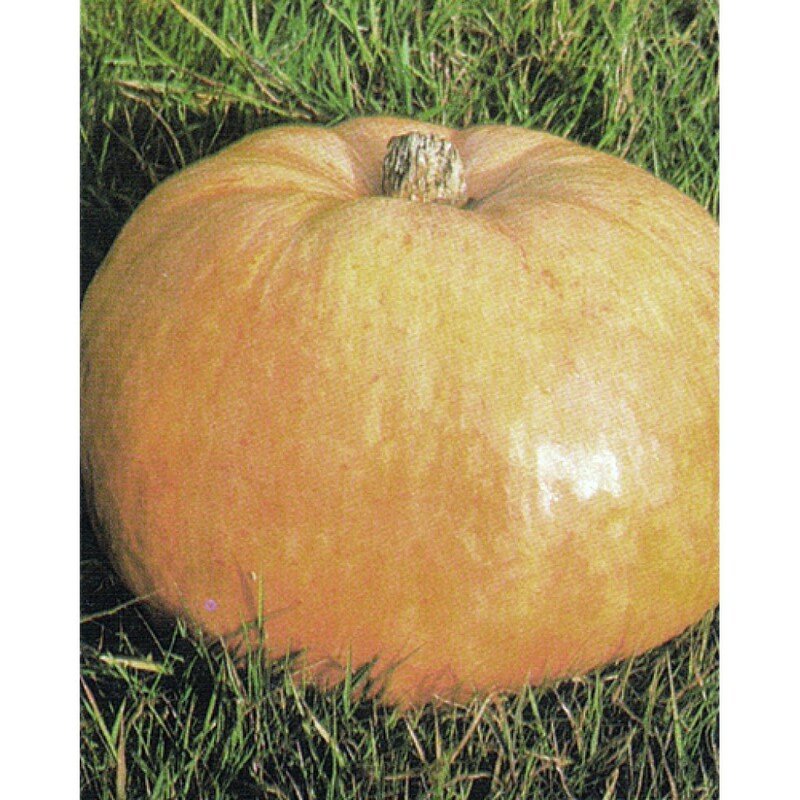 Typical large variety with slightly thick, large round fruits with a yellowish skin. Very appreciated in the Mediterranean diet for the preparation of soups or baked in the oven and seasoned with oil and vinegar for side dishes of special dishes. Sowing: April-May in full campp. Distance: about 1.5 meters from row to row. 100 cm on the row. Slightly varied, slightly peeled, peel of yellow color. 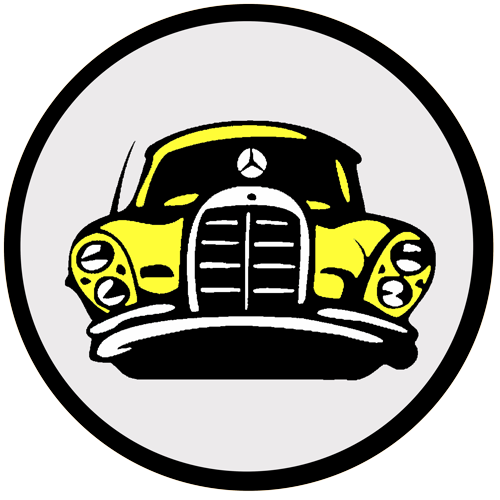 Flesh of yellow or orange color. 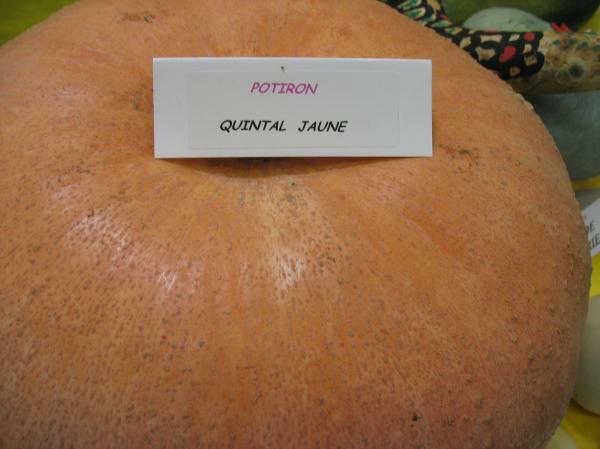 Giant pumpkin, similar to the Quintale pumpkin, but with a white streak absent in the latter. Originally from the upper Val Bormida, in the province of Savona, it was cultivated at the family level, in an area where agriculture is poorly developed. Used for soups and velvety creams, or fried or even for jam. Progressively abandoned, its cultivation has been relaunched by Slow Food Val Bormida, spreading it among the members, on the basis of seeds traced to an elderly farmer.